Before phones became mobile-gaming, music-playing, app-downloading devices, they were used simply to make convenient, cordless phone calls. There's so much on phones these days that a passcode is needed to keep everything secure, and making calls is now more complicated. On an iPhone, you can make quick calls from the lock screen using Siri, but if you've disabled Siri access on the lock screen for security reasons, that's a no-go. You could also use the Emergency call feature to call anyone, but you'd need to know their number by heart. Now there's a better option for making calls from your lock screen: just use a Notification Center widget. It speeds up the process of accessing and calling your contacts while adding a layer of privacy when you let people borrow your phone, since they'll no longer need to access the Phone app from your home screen. But if your iPhone is locked, you will still need to enter your passcode or Touch ID to send the call. Apple is known for pulling widgets like this from the iOS App Store pretty quickly, so make sure to download YoBu, from developer Harshdeep Singh, while you still can. 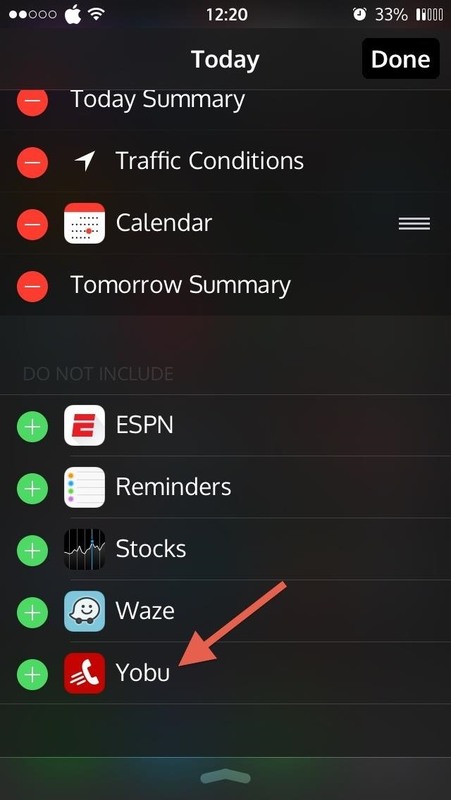 With YoBu installed and your iPhone unlocked, pull down the Notification Center and tap the "Today" section, then select "Edit" near the bottom of the screen. 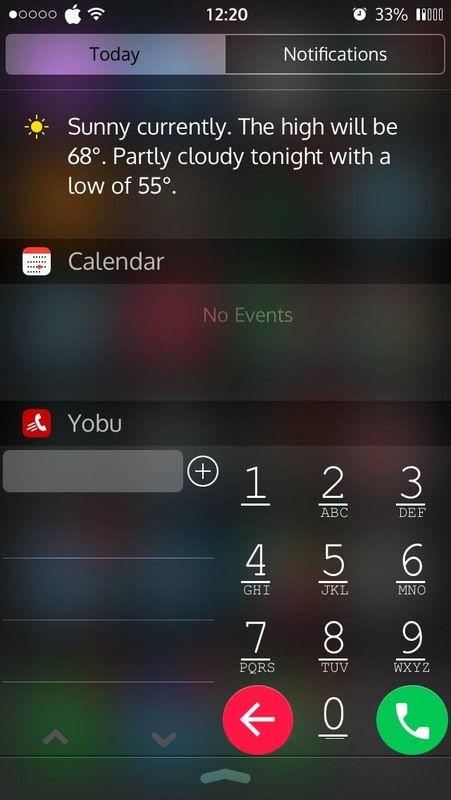 In the following section, select the green + icon next to YoBu to add the widget to the Notification Center. You may move the widget up or down in the list using the three horizontal lines to the right. 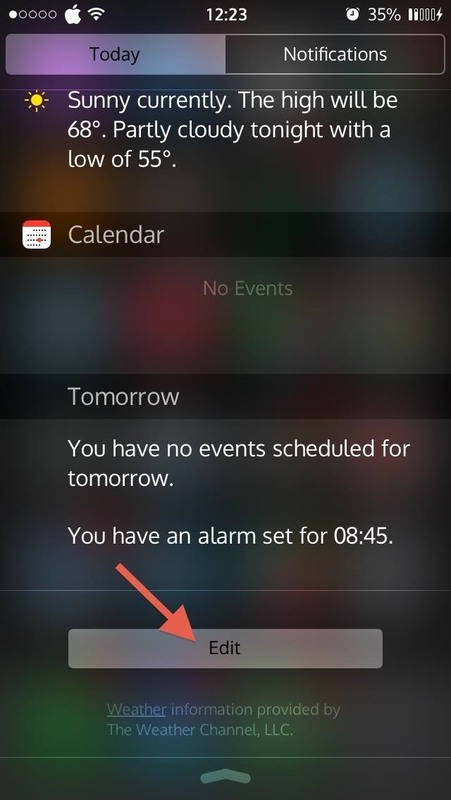 Once added, the widget will appear in the Today section and can be accessed from the lock screen at any time. 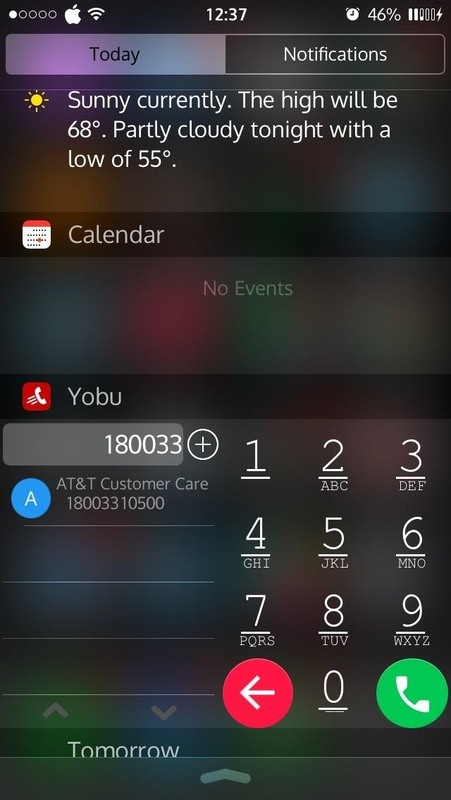 After you have provided access to your contacts, you can begin making calls using YoBu. Simply enter in a ten-digit number or select one of your suggested contacts. You can also add contacts by selecting the plus icon next to the entry field. 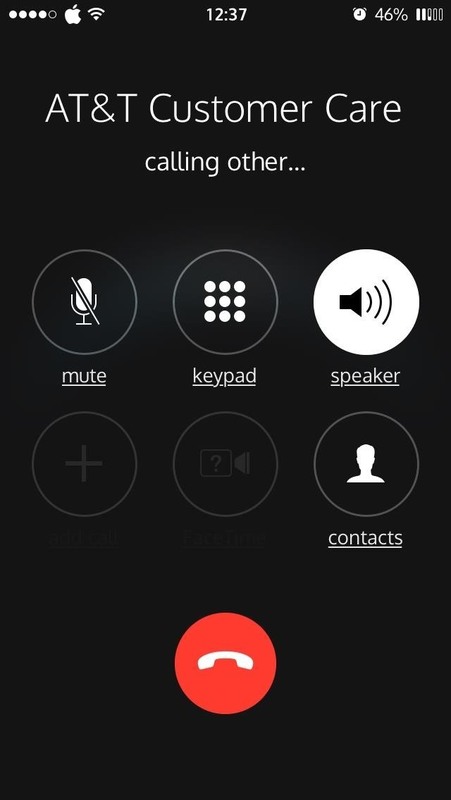 YoBu is more useful for users that do not have a passcode on their iPhone and want to make a quick call. For those of you that do have a passcode or Touch ID, you must unlock your device before the widget can make a call. Is this a time saver for you or just another app? Let us know in the comment section below, or over on Facebook, Google+, or Twitter.